Isn’t she just the sweetest? Meet Miss Adelynn Patricia. She was welcomed into this world on July 19th. And “welcomed” is an understatement for the Dykes family. Everyone is completely smitten by the newest addition. 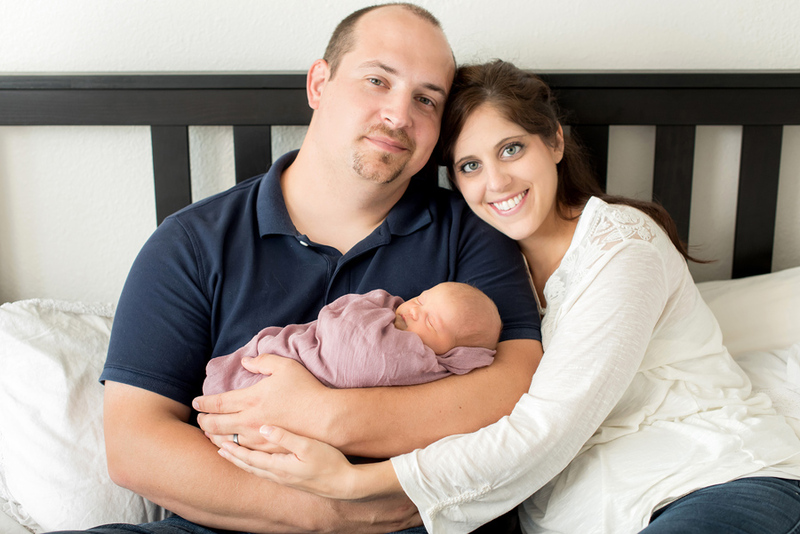 Kaitlyn and Brian, the proud parents of now three beautiful daughters could not be happier and more in love with Addy. 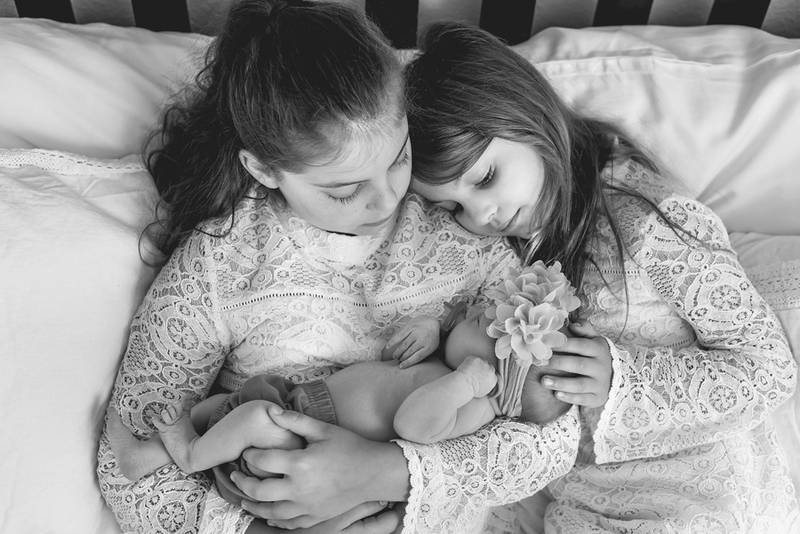 Her sisters, Isabelle and Grace, simply adore her and fight over who gets to hold her and kiss her. Even the pups- Daisy and Basil love their new little sister. (Daisy is the Golden you’ll see in these photos.) Even the next door neighbors think Adelynn is perfect and are so happy for the Dykes family. Oh! I forgot to mention- I happen to be the neighbor. 🙂 I spent the morning with my wonderful friends and captured their family, their sweet little girls, and their adorable pups. 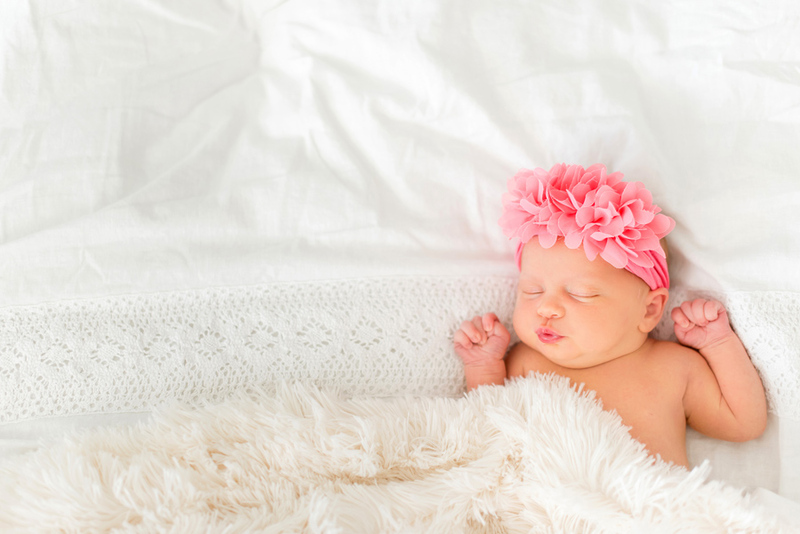 It was such a fun newborn session (of course)! Kaitlyn and Brian- congratulations. She’s absolutely perfect. And I’m blessed that I not only get to take family photos for you but that I get to live next door and watch her grow up. We love living next door- and if you need anything (photos, a diaper change or mustard) we’re here for you! Enjoy every second of her. And enjoy the photos.